Do you want to smooth out your wrinkles and restore your face back to its former youthful look? Are you wanting to create a flawlessly smooth appearance that turns back the hands of time? Well, at Dermatologic Surgery Center, we have just the treatment for you! Belotero Balance. This injectable smooths out the appearance of wrinkles on the face, making you look young and fresh-faced again. So don’t worry over wrinkles any longer and come into our clinic today to learn more about Belotero Medina! We’ll have you looking young again! Belotero Balance is an FDA approved injectable, that temporarily reduces the appearance of wrinkles in the nasolabial folds. It is made from a synthetic form of hyaluronic acid (HA) which is a substance found within the body to add volume. Belotero is administered via injection into the nasolabial fold (the lines from the side of the nose to the corner of the mouth) to fill and smooth out the wrinkles. The hyaluronic acid is injected under the skin where it starts to integrate into the skin. Belotero balance uses a cohesive polydensified matrix process which creates a smooth and flexible gel that goes into hard to reach areas. Once integrated, it blends into the natural structure of the skin to gently fill in stubborn etched-in lines and wrinkles. 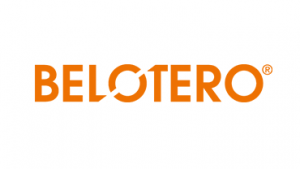 Why should you get Belotero Balance? If you have wrinkles around the nasolabial area and want an effective treatment, then this treatment is for you! Unlike other treatments that just fill under the skin and sit to create the appearance of volume, Belotero fully integrates. It combines with the tissue to address the issue of moderate or severe etched-in lines. At Dermatologic Surgery Center, we use Belotero Balance because of its ease of us and amazing results. We have seen outstanding results on our clients who want to get rid of their mid-face wrinkles. Our certified staff is trained to use this treatment to give you a smooth, even appearance. If you think Belotero is for you, then contact us for a consultation! At Dermatologic Surgery Center in Medina, OH our staff is here to help you decide which treatment is best for you. We personalize our treatments to give you the best in aesthetics care while ensuring you achieve your desired result. Our clinic delivers the best in top of the line aesthetic treatments and care for our clients. We stay ahead of the curve when it comes to delivering the best in the industry. So, don’t worry about dealing with wondering which product is the best for you. Let our team take care of your needs and help you in your aesthetics journey.